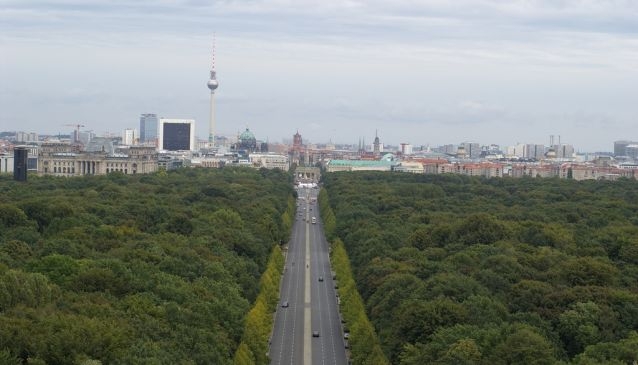 Covering 1.996 sq miles, which is about 5.17 km², this vast patch of green in the middle of the city was originally designed in the 1830's and was used as a hunting ground by The Great Elector Friedrich Wilhelm. The name Tiergarten also refers to the district it sits in which is a largely governmental and diplomatic area. If you see photos from the park around 1944 it looks like a flat patch of brown land, this is because it was widely deforested for firewood after World War 2. A very different Tiergarten to the one we see today. After rebuilding in 1949 and the erecting of various monuments, sculptures and memorials for the fallen victims of the war but also the re placement of old Prussian sculptures the Nazi's had removed, it is now one of the most beautiful free parks in Berlin and frequented by hundreds of people every day and used as a place of relaxation, sports, walks, picnics and reflection.